"Women's actual outfits, in Paris. 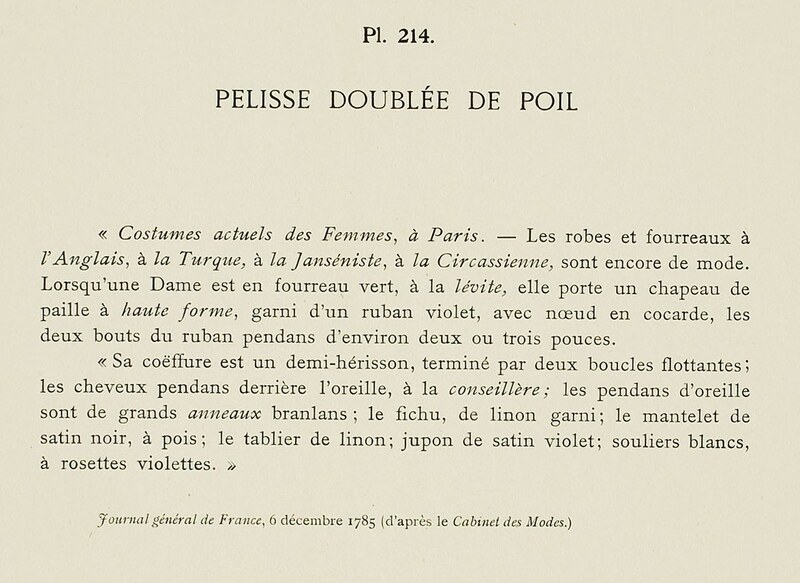 - The gowns and fourreaux à l'Anglaise, à la Turque, à la Janseniste,* à la Circassienne, are still in fashion. 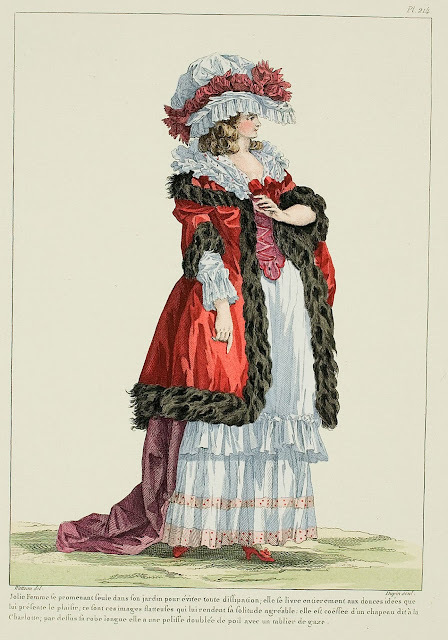 When a Lady is in a green fourreau, à la levite, she wears a straw hat with a high crown, trimmed with a violet ribbon, with a cockade bow, the two ends of the ribbon hanging about two or three inches. 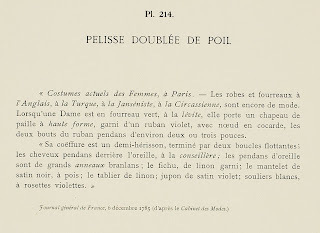 "Her coiffure is a half-herisson, ended by two hanging curls; the hair hanging behind the ears, à la conselliere: the earrings are large, trembling rings; the kerchief, of trimmed linen; the mantelet of black satin, spotted; the apron of linen; petticoat of violet satin; white shoes, with violet rosettes." * Jansenism, originating in the 17th century, was a flavor of Christianity similar to Calvinism. By the 1780s it had mostly died out as a sect.